With a cast led by the incomparable Gene Wilder, WILLY WONKA AND THE CHOCOLATE FACTORY (1971) has tickled sweet tooths for generations, both onscreen and during annual TV broadcasts. 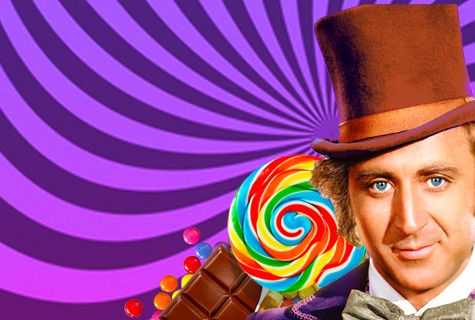 On March 3, return to a world of Pure Imagination projected on our 50-foot screen! Join us dressed as your favorite character and arrive early for a special presentation by a professional candy maker! It’s one golden ticket the whole family will enjoy! This screening kicks-off a year-long celebration of spiritual artistry at the United Palace. On April 7, we honor the 50th anniversary of United Palace of Spiritual Arts purchasing and saving the building with an epic screening of 2001: A Space Odyssey. Then, in February 2019, we’ll celebrate the 90th anniversary of the grand opening of the Loew’s 175th Street Theater, now known as the United Palace. Stay tuned for details! Brief Synopsis: A poor but hopeful boy seeks one of the five coveted golden tickets that will send him on a tour of Willy Wonka’s mysterious chocolate factory.